It apparently is no longer safe to carry large sums of cash with you when you travel in America. 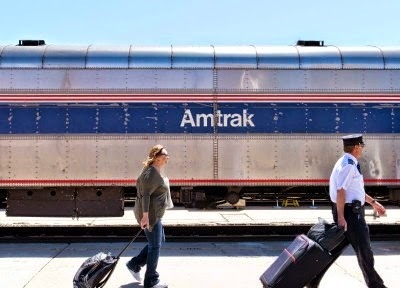 Joseph Rivers learned this lesson the hard way when the Drug Enforcement Agency (DEA) took his entire life’s savings — $16,000 — while he was riding on an Amtrak train in April to Los Angeles. The 22 year old is an aspiring music video producer. Like many drivers, Rivers was never arrested or charged with a crime. Instead, DEA agents used civil asset forfeiture law to seize the cash he was carrying on a passenger train he had boarded in Michigan. Agents entered the train in Albuquerque, New Mexico. The agents took the cash after asking Rivers a series of questions. When he told them he was going to Los Angeles to make a music video, the agents asked for permission to search his luggage, which was granted. The DEA found the cash and seized it.